Additionally, the HP C6380 print colorful photos and documents with HP Vivera Inks and five-color ink process that produces lap-quality photos and text. 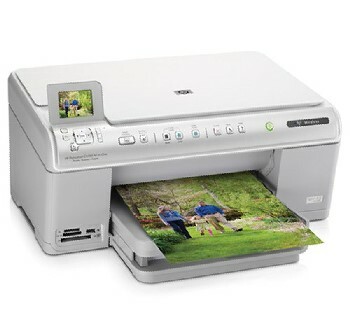 However, the HP C6380 can also print directly from a variety of supported memory cards such as CompactFlash, Memory Sticks (Duo), SD Card, SDHC Card, MMC,xD-Picture Cards, just plug-in a compatible memory card and use the colorful 2.4 inch LCD screen to manage the printing process, or just plug in the PictBridge digital camera to print directly. The C6380 also features built-in 802.11 b/g Wi-Fi connectivity to print your task without having to use the cables, it make you easy to use the printer together with another people in the same network.